Shlomi is a small village just a few miles from the Lebanon border, just down the road from the recently uncovered Hezbollah terror tunnels and the ominous threats they represent. 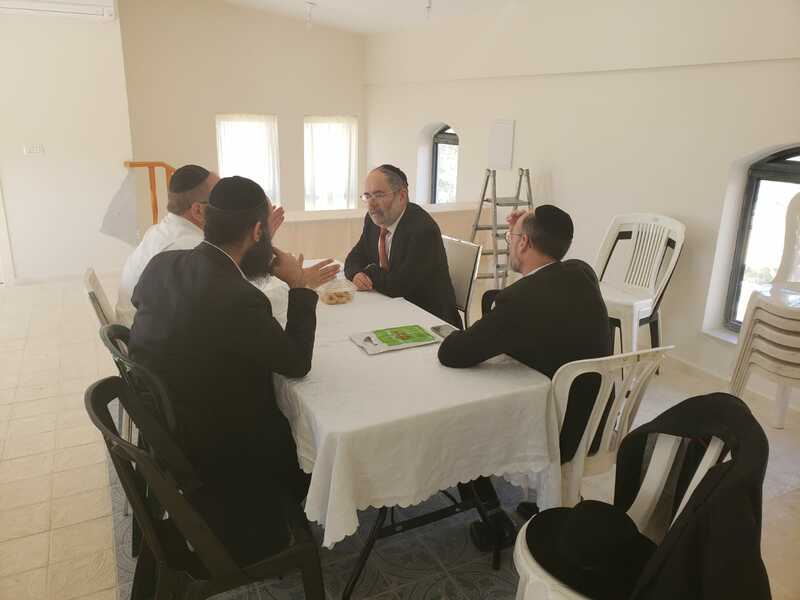 That has not stopped Ayelet HaShachar from being active there; on the contrary; a beautiful community is developing there under AH representative Rabbi Shlomo Danino, including a thriving shul, shiurim, and kollel where there was no religious presence before. 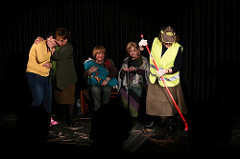 In previous months we have informed our loyal readers about a wonderful initiative in which Chareidi and secular women have come together to put on a joint theatrical production that portrays what happens when an earthquake forces neighbors to come out into the public square and deal with each other is a tense and troubling situation. It is wonderful to see religious women work together with their less religious sisters in much respect and appreciation for the talents they share and to marvel at the amazing creativity such symmetry can produce. The latest performance tool place under the sponsorship of Ayelet HaShachar and the United States Embassy in Jerusalem at the American Cultural Center. In attendance were journalists from Galei Tzahal, Television stations, Embassy staff, and several prominent women, including the Rebbetzins of several famous Admorim. There are plans to expand this program elsewhere in the country soon. One of the challenges facing the newly observant, or not yet fully observant, or even the fully and not so recently observant is access to Rabbinic guidance that fully understands the issues that they deal with, be it relationships with family and associates, where one can be lenient for someone not quite ready to take it all on just yet, or other special challenges, especially in the area of P’sak Halacha. Seeing this urgent need, Ayelet HaShachar is forming a new Bet Din specifically for this purpose in Kiryat Tiv’on under the leadership of Rav Yitzchak Brandeis, which will be available by email and telephone to others around the country as well. 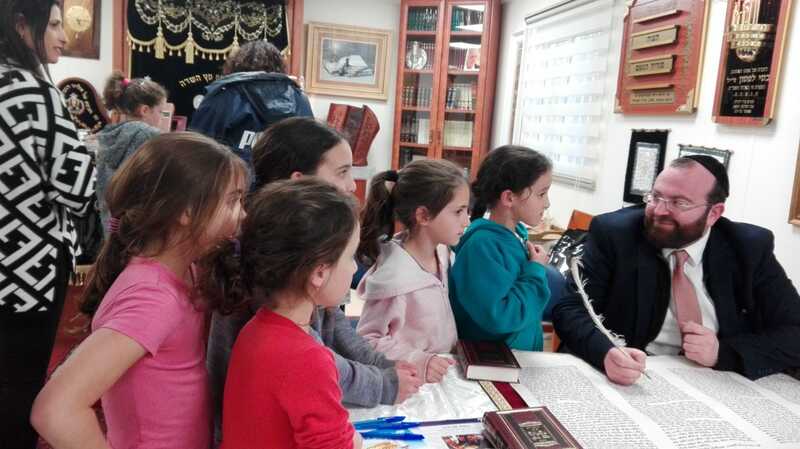 As usual, Ayelet HaShachar proactively seeks to find more ways to help make Torah and Judaism more accessible to our fellow Jews who are waiting for someone to reach them with warmth and love. 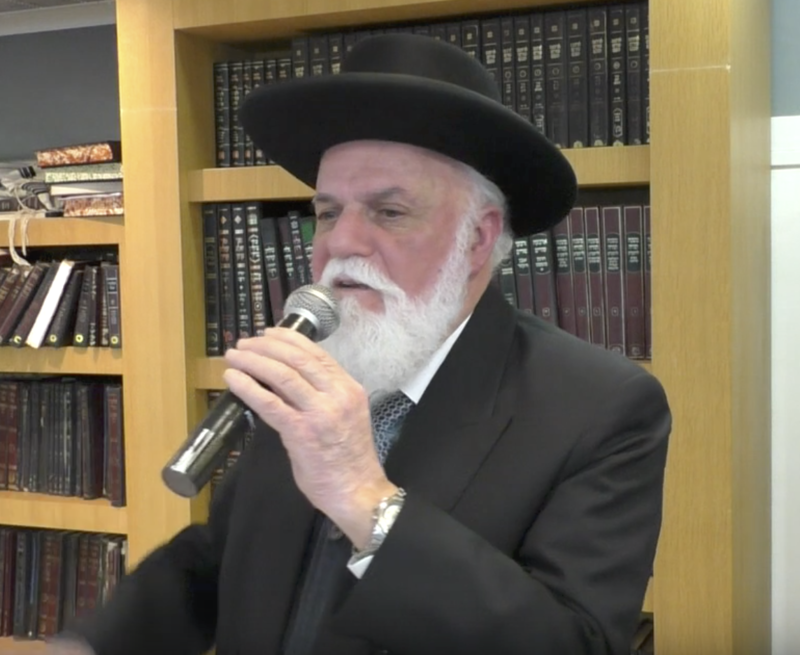 As the visionary founder and director of Ayelet HaShachar, Rav Shlomo Raanan looks back at those individuals who were instrumental in guiding and inspiring him to follow the path he has. One such person, whom he recently encountered after not being in touch for many years, is Rav Yitzchak Peretz. 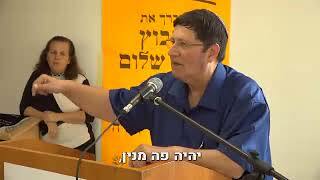 Rav Peretz is the longtime Rav of Raanana and former Government Minister and Leader of the Shas party, but Rav Raanan remembers him as a much younger Rav who knew his family as they would often vacation together when he was growing up. 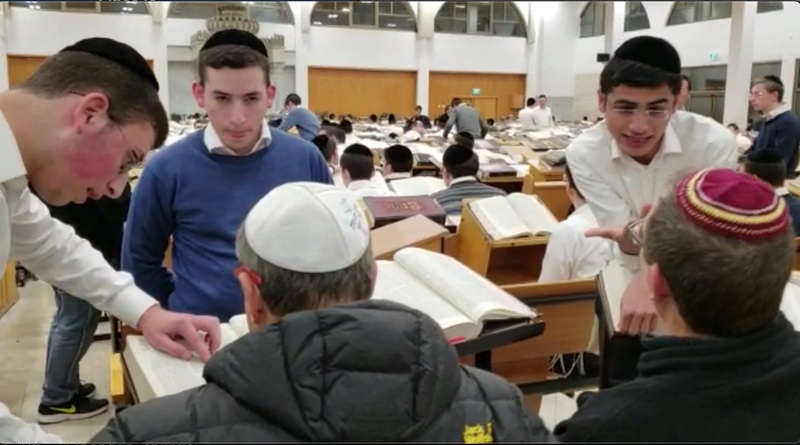 Young Shlomo was about fifteen and attending a Yeshiva High school, but was unsure about whether he should continue his studies there, or transfer to a full-time Yeshiva, and took the opportunity to ask Rav Peretz for advice when the families were together. 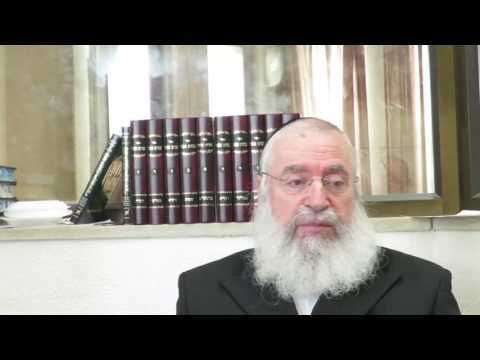 Rav Peretz strongly suggested that he stay in High School – that he wait for a few more years before he would attend Yeshivat Hanegev and gain the necessary maturity to take advantage of what full time learning can give to a person. In the meantime, his secular studies would help him to appreciate the world around him and relate to different types of people. The main thing he should do was to focus on his studies, become passionate about the future of Klal Yisrael, and to bring Jews together. This past weekend Rav Raanan met with Rav Peretz for the first time in over thirty years and related how proud Rav Peretz was of the wonderful work of Ayelet HaShachar, and how appreciative he was of the wise counsel that he received long ago that has stood him in good stead all these years. One of the very first militantly secular kibbutzim of the HaShomer Hatzair movement, Ein Charod was a symbol of those who wanted the nascent State of Israel to make a total break with Torah and our religious tradition. As one early resident remembers that “people in the dining hall would eat [non-kosher] sausage and cheese sandwiches, even grilling pork on Yom Kippur.” For many years now, Ayelet HaShachar has been making inroads in Ein Charod, bringing the Chief Rabbi to spend Shabbat there, opening and maintaining a shul, and helping a substantial number of people as the began exploring Torah and a religious lifestyle. It was an amazing, exciting and very spiritual evening. Everyone who came was so moved; there were people with tears in their eyes. 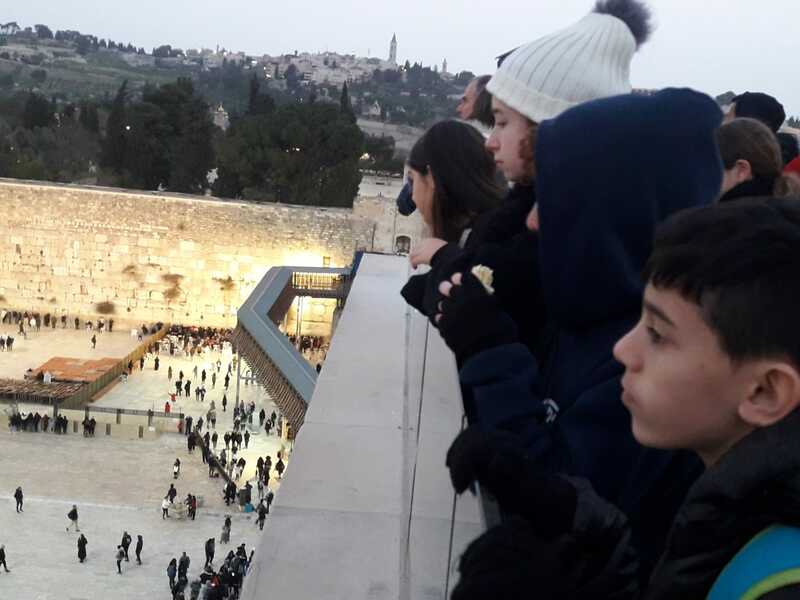 Some fifty people arrived, not counting those who called because they could not make it that evening – even from Chutz LaAretz – because they wanted to be included, which made me very happy. The meeting lasted an hour and a half; even after the rabbi left, more people kept coming! He was approached by my friends, from Moshav Tkuma and from Kibbutz Sa'ad, who want him to come to them as well. Please help bring him to other kibbutzim. . . It is a great privilege. 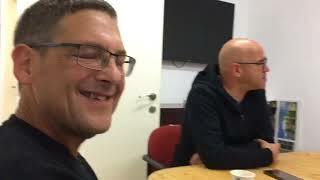 Thank you very much, Shlomo, for the connections that you make for us, it always excites me. Bless you from heaven for your mission and the desire to help the entire nation of Israel. Keep going, higher and higher, and have success in whatever you do — highly appreciated!